This is a prestigious ceremony where the Students' Union honours and celebrates Birkbeck students and staff for their contributions to the Birkbeck Community, from clubs and societies to teaching excellence, and this upcoming Colours and Honours ceremony is an important opportunity for our members to show appreciation to the students and staff members that support us through our time at Birkbeck. Every year Birkbeck students submit many nominations of students and staff that they felt have gone the extra mile to make the Birkbeck Community great, and we encourage all Birkbeck students to nominate someone from the Birkbeck Community for an award! It is our pleasure to announce the students and staff members of the Birkbeck community recieving an award from our annual Colours and Honours award ceremony. Birkbeck Students’ Union was founded in 1906 to support the unique needs of students that study in the evenings; over the years we’ve grown to represent our diverse student body, proudly centring liberation and the interests of mature/part-time students in everything we do. We are committed to raising student voice and ensuring that the issues that impact our members are recognised and answered; we take the comments and policy put forward by students to College committees, University Governors’ meetings, NUS conferences, and on to Parliament on a regular basis to ensure the unique nature of our study experience is articulated at every level! Recently our students have shown a greater desire for opportunities to engage beyond attending class; we are now home to a growing number of clubs and societies, led by committed officers who continue to provide students with activities and peer support through their voluntary efforts. Without the interest and support of dedicated members from the Birkbeck community, none of this would be possible. Thank you to everyone supporting our Students’ Union and our members! 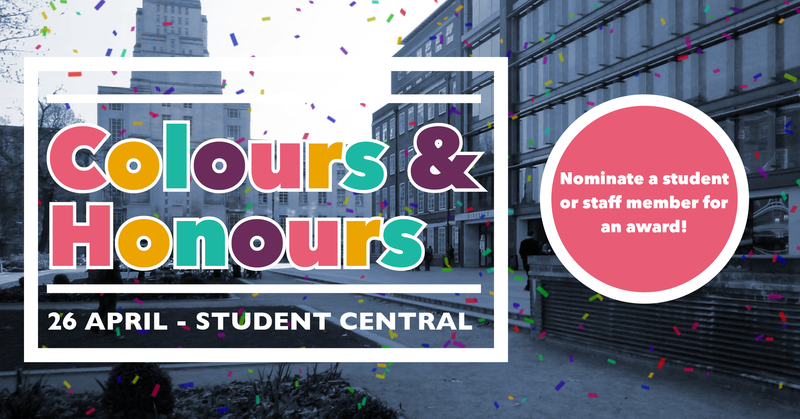 CONGRATULATIONS to everyone who has received an award from the Students' Union! Check our our Facebook Album of the event!